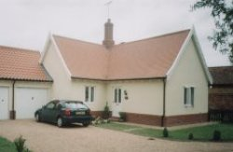 Suffolk building contractors, MJ Services offer a wide variety of building services from our professional builders, including New Builds. 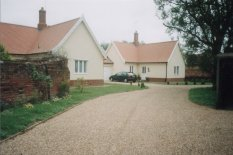 M J Services have a wealth of experience with the expertise to design, plan and build many types of dwellings. We work very closely with YOU, the customer to ensure you receive the home that suits both your imagination and budget. You can be sure that M J Services will make moving into your new home as stress free as possible. We work closely with the all the local authorities to make construction run smooth, from applying for planning permission through to handing over the keys. 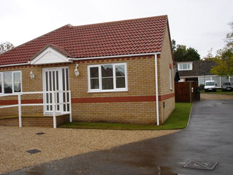 At MJ Services, Suffolk we can build extensions and alterations to existing properties. Hover over the images below to see another image. 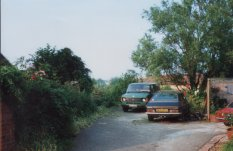 Before the area was developed. After the new build development. 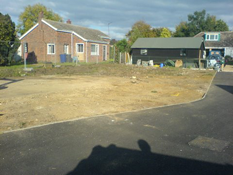 Site before new build was constructed.